I became aware of Griffen thanks to my blog buddy, Steve, who did a review of this EP at his own blog awhile back. This is the band’s second demo, but you wouldn’t know this is a demo at all. The production here is good, and even though the band sports members from Sweden and Finland, they forgo the typical Scandinavian metal sound you might expect them to play. The NWOBHM influence is obvious (and not just because that’s how they categorize themselves on their MySpace page!). 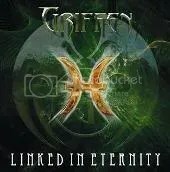 Dashed with some melodic hard rock as well, Griffen has a winning combination. The vocals are strong, the musicianship is strong and the band as a whole sounds powerful. These guys aren’t signed, but they should be because they deserve to have a solid label backing them and I want to hear a full album! Highlights: All five songs are solid metal/hard rock, but “Falling Inside” and “Life Is On the Way” especially stuck out for me.